TGIF! 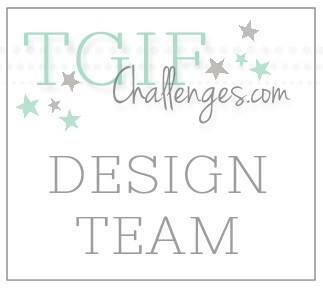 Of course that means there is a new challenge over on TGIF Challenges. Since it is the last Friday of the month it is a Remix Challenge! This is quickly becoming one of my favorite challenge each month. All you have to do is combine at least two of the previous challenges from the month. I decide to combine the sketch challenge with the color challenge. I used the sketch as inspiration to create the Pool Party water-colored background. 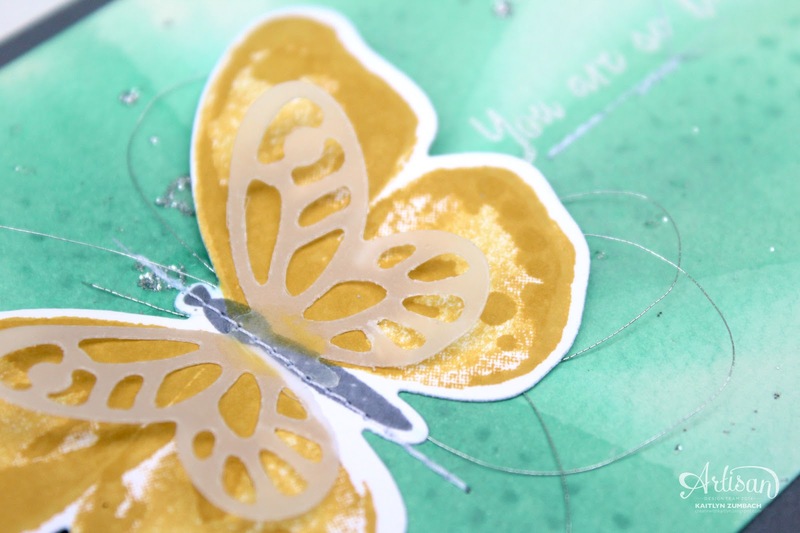 Since the background was water-colored, it only made sense to use the Watercolor Wings Stamp Set. 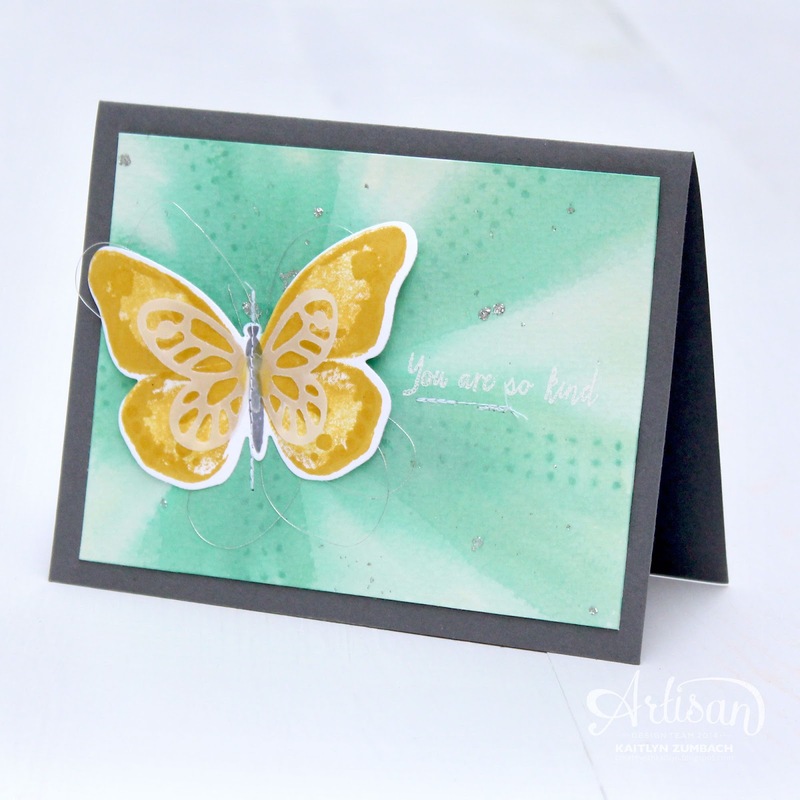 I kept things pretty simple and just layered of the the stamped images and coordinating Bold Butterfly Framelits Dies. I added a bit of Silver Glitter just for the fun of it. Sometimes you need a little glitter! 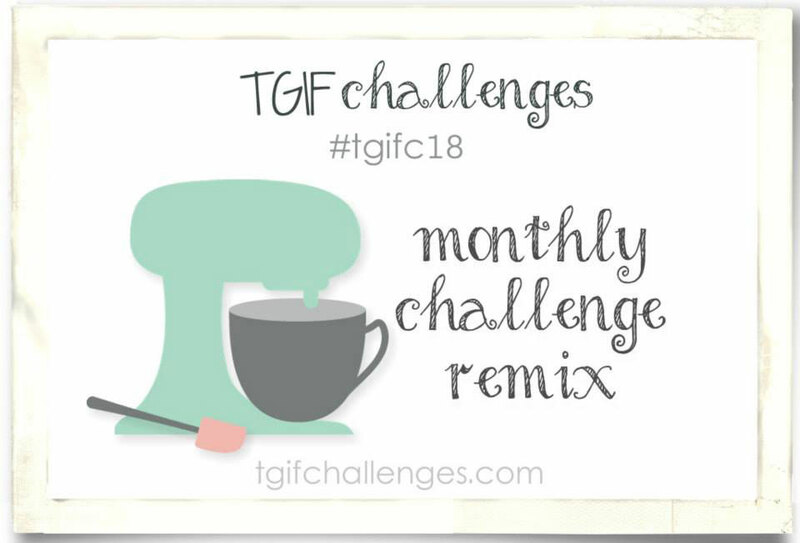 Be sure to head on over to TGIF Challenges to take on the Remix Challenge for yourself! This is beautiful!! Love the use of the dotted stamp to create the lines for the burst. 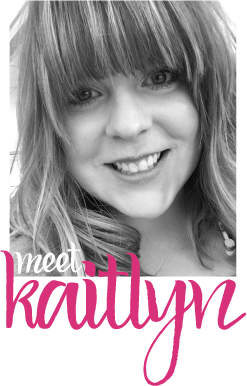 Great job Kaitlyn!